My 10-year-old son has increasing problems with seasonal allergies — we brace ourselves as spring comes with its pollen because this kid really reacts. Last year we kept him comfortable with over-the-counter medications, local honey, regular elderflower tea, lavender oil in a nebulizer/diffuser concoction as he sleeps, and a chest rub of lavender and eucalyptus oil in a carrier oil. The remedies helped keep him comfortable but he still needed a small dose of allergy medication, nearly daily. With each year we have added some new tools to the arsenal but it has felt impossible to stay in front of the problem, until now. As of April 8, he has had allergy medicine twice. When he would normally be taking a small dose each evening he has only had medicine on severe pollen days (and he played outside to boot on those days, tempting fate apparently and unaware of the pollen count). This season’s addition has been near-miraculous for him: nettle leaf. By “nettle leaf,” I do mean the stuff with the stinging hairs that leaves an itchy rash on your skin for a few days. You can definitely buy nettle dried online (here) but we have been consuming so much this season that we have harvested it in great quantities locally. We have had it in soups and infusions several times a week for the past two months. We gathered enough to save three gallons packed of dried leaves and 28 quart-sized baggies of blanched and frozen nettle for soup. We have hauled nettle infusions on trips for allergy relief and packed soup in my son’s lunch, all for a kid who will eat nothing else green. He consumes nettle because his relief is near-immediate. Last week an attack came on and his eye began to look like he had a shiner. I tried to capture his agony in a photo and the relief one hour later, after 1/2 cup (~ 4 oz) of nettle soup. The pictures aren’t the greatest and his eye was not as bad as it can get, but we caught the allergy attack in time, threw some nettle at it, and Frederick went on with the rest of his day like a normal 10-year-old. Our two key tools are nettle soup and nettle infusions, both cooked to neutralize the stinging property of the nettle leaf. My preference is the soup because it’s loaded with other nutrients as well but the infusion is more convenient for everyday use. We have a standard nettle soup recipe (here) that will bring home the point that this is not a broth with a few leaves floating in it. It is completely loaded with nettle leaf, even thickened with the leaf. My picky-eaten son eats it because of the relief and because we know how to season it well and mix up the seasonings a bit through the springtime. We do use fresh or frozen nettle but my mom promises to develop a soup recipe using dried nettle that you can purchase online. In the meantime, experiment with dried nettle in soups — just rehydrate it in your cooking process. An “infusion” is simple a “strong tea.” This is not a regular cup of tea with a little baggie of nettle leaf in it. We put nettle leaf and even stem into a saucepan and cover it with water. I never measure but I might put something like a quart of packed nettle into a pot and cover it with about a quart of water. Bring the water to a boil, turn off the heat, cover and let it sit overnight or for up to 24 hours. Strain out the liquid — that liquid is your infusion. We make a very strong infusion because of the quantity of nettle we have, so strong that we add citrus juice and a sweetener to cover the grassy taste (more about that here). Experiment with what works for you in terms of flavor and concentration. A cup of soup or infusion brings near-immediate relief to my son but each cup we make may be stronger than what you end up cooking up in your own kitchen. 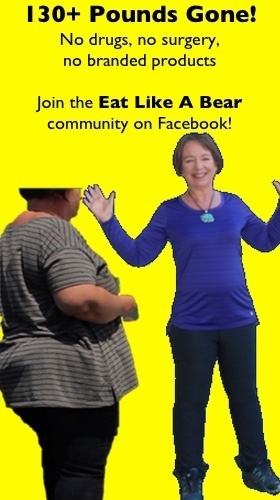 You may need to experiment a bit to find what works best for you. The rest of the household gets a nice energy boost from nettle as well. It’s really a no-lose situation and is now a key part of our spring time regimen. 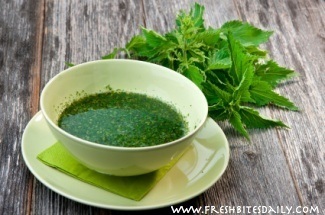 Buy nettle online: For the quantity of nettle you will want to experiment with, we recommend buying it in bulk. This is a good option along with free shipping from our Amazon affiliate partner. However, to clarify, we don’t buy nettle ourselves. We pick it fresh and wild from here in the Sequoia National Forest. While he continues to be a picky eater, he still has no issues with eating nettle soup or drinking the nettle infusion. In fact, we rely on them and pack the beverage with us on trips. This past spring we actually visited the CALM Zoo in Bakersfield — a museum of California native animals and plants. The first 10 minutes were a treat, seeing a live mountain lion and brown bears. However, I had not though through the point that the zoo is filled with California native plants. All things native are there and they were all in bloom that day. My poor son began to deteriorate at about the 10 minute point. By the time we walked out, he was as miserable as I have seen him. We walked to the car for the nettle drink and he guzzled it. We sat there among the plant triggers as he began his recovery and then left to avoid more exposure. Twenty minutes later across town he was still puffy but he was actually in good spirits and recovering. 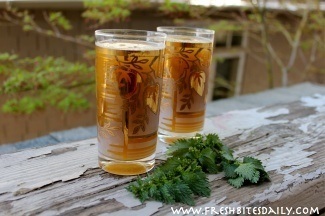 How to make nettle tea and infusions (here). Our go-to nettle drink that is always ready in our refrigerator and gets hauled around in our cooler on the road (here). A soup packed with nettle leaf (here). Buy nettle online: As a recap, if you don’t want to trudge out and pick the nettle yourself, this is a good option along with free shipping from our Amazon affiliate partner. 2 Comments on "Nettle for Allergies: Relief That Is So Complete, It May Blow You Away"